The three most appealing features of granite are its natural beauty, life-long durability, and low maintenance. 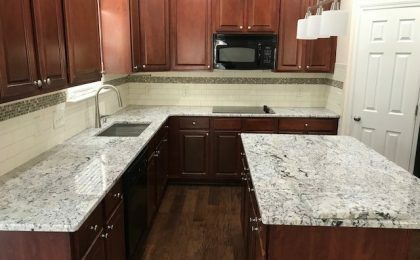 Granite is an excellent choice for busy kitchen counter tops. It is very scratch resistant, and one can cut directly on it. It is also heat resistant, and hot plates can be placed safely on the surface. Granite is a timeless addition that will add immeasurable value to your home. Stone is a natural solid formation comprised of minerals. Thousands of stone types including granite, marble, limestone, sandstone, slate, onyx and travertine have been quarried for centuries from locations around the world. The majority of natural stone comes from Italy, Spain, South Africa, Turkey, United States, Mexico, China, India, France, Brazil, and Canada. 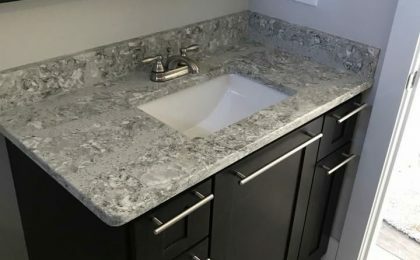 Marble, limestone, sandstone, slate, onyx and travertine can be both aesthetically pleasing and practical in applications such as vanity counter tops, shower surrounds, fireplace hearths and furniture pieces, among others. 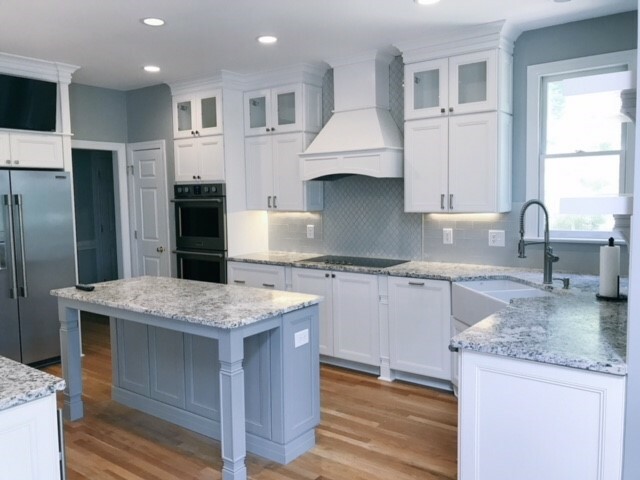 Marble and these other softer, more porous stones may also be used for kitchen applications, but are not recommended, as excessive use and exposure to heat and colored or acidic liquids can leave unattractive scars, stains and etching, even if regularly resealed. The installed product may not be exactly like a showroom sample. Not unlike wood, each stone has unique natural veining, pitting, fissures, micro-cracks, and color variations including patterns, markings, and darker or lighter spots which are all natural characteristics of stone. Characteristics are not meant to be deficiencies or faults, nor can they be avoided in fabrication. The surface of granite is not as consistently smooth or shiny as glass to the eye or touch.